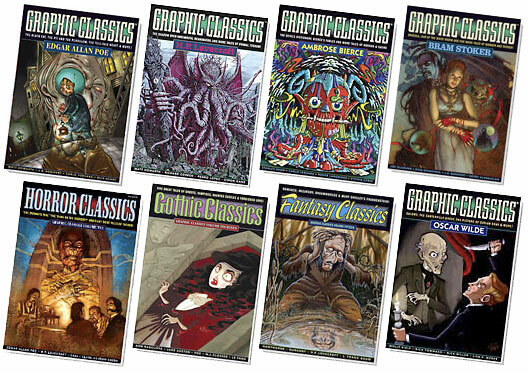 Graphic Classics is a great line of comics anthologies that uses top-notch artists to adapt stories by classic authors. Each volume contains one or two familiar stories as well as obscure ones that you may have never read. None of the volumes I've read - and I've got most of them - have failed to entertain and educate me at the same time. Several of the volumes are horror-related, so from now through Halloween Graphic Classics are on sale for 20% off when you buy them through the publisher's website. I'm not getting paid to advertise for them; I just really like these books and know some of you will too. Now's a perfect time to try them out.